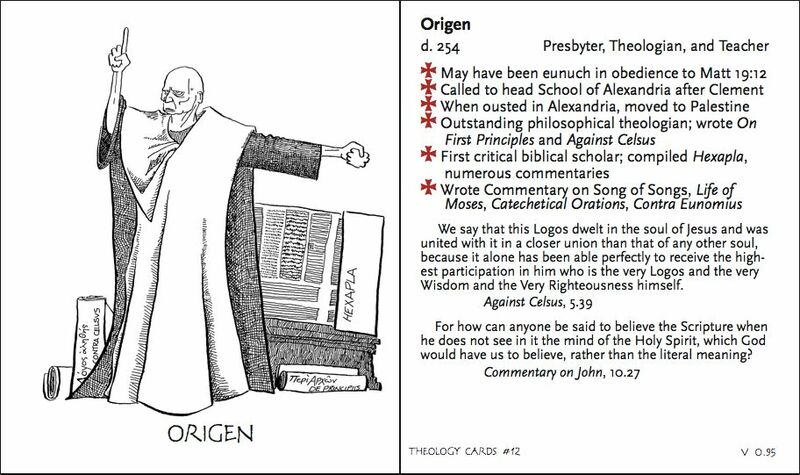 Origen bears a certain resemblance to Sidney Sime’s Mung (go here and scroll down a bit), which tickles me no end, I must say. Strange. I just received this by RSS just now, yet I see my previous comment. Odd. Mark, this is the explanation. This morning, before the coffee kicked in, I set about making the entry with the next batch of cards. I was going to copy the listings from this entry and paste them into a “new entry” window — but what I foggily did instead was to make the changes directly to this entry. Thanks to your curiosity, I looked in and realized my error — I restored this entry and made a new entry for the next cards. If another reader finds this confusing, my advice is just to not even try to figure out what we’re talking about. Dorothea, that’s eerie; I don’t think Steve was eliberately using Mung as a model, but who knows what these artists are thinking? 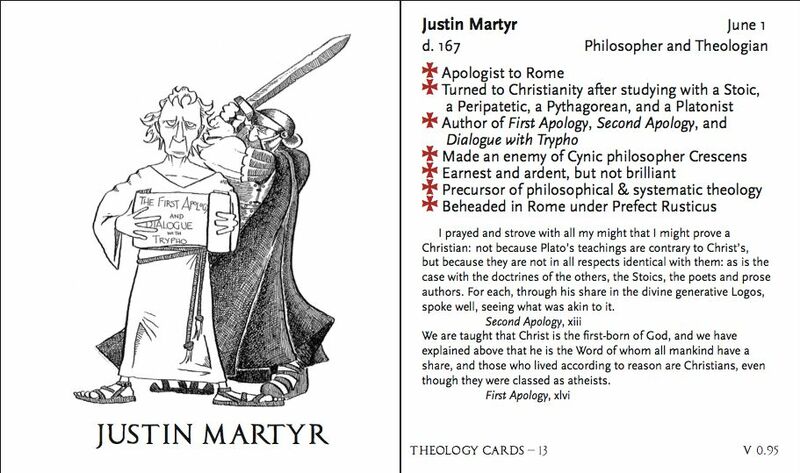 I got an error about being unable to read the embedded font CorodetClassicaps in Justin Martyr. You need to have a page with all of the cards rather than an interest person tracking down each post. 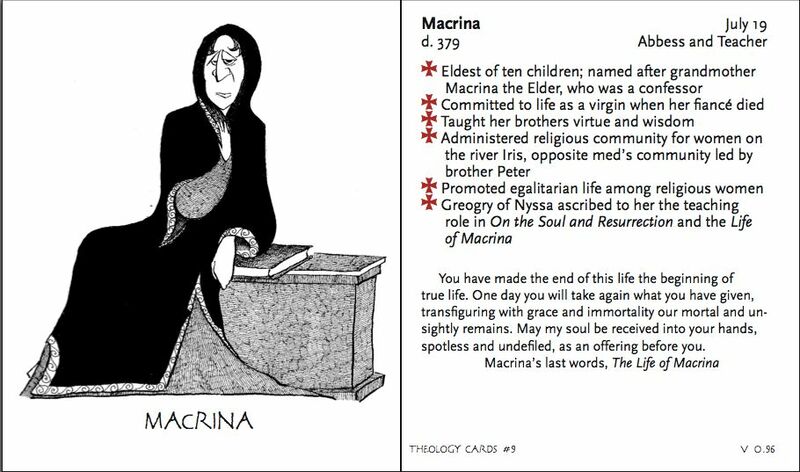 You know I love Macrina, so you’ll know I went to her card first– and found a typo (thhis) in the text. I’m still treasuring my St. Anthony (of the Desert) card, though I’m not convinced he shares the other Anthony’s talent for finding lost objects– he’s definitely a demon-fighter.